The winter will always bring with it precarious driving conditions. Whether it's icy roads, heavy snowfall, low visibility, or any other combination of harsh weather, knowing how to control your car is key to staying safe as you journey through the snow. It's always worth mentioning that if you're able to avoid driving in adverse weather conditions, you'll be safest of all. But we know that's not always an option. Check out the tips below for safe driving tips. Make sure to winterize your car. Prepare it for adverse weather conditions by assembling an emergency kit to keep with you. Clear your windshield, windows, lights, and mirrors of snow and ice. Never drive with just a tiny opening to see. 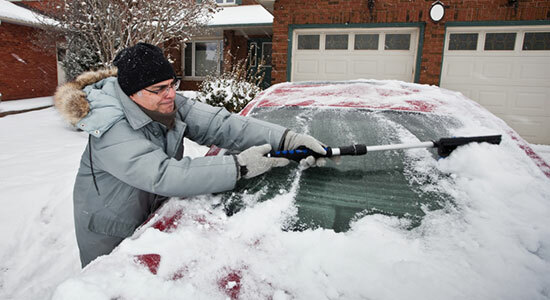 Completely remove large chunks of ice and snow from your car. In Pennsylvania, you can face fines if snow or ice chunks fly off and injure another person. Turn your headlights on to increase visibility for yourself and to other drivers. Injured in a Winter Weather-Related Accident? We're standing by around the clock to help with your accident injuries. Whether it was slick roads, negligent drivers, poorly maintained roads, or anything in between, we're here to get you the legal help you need. It's free to call and there's no obligation to use our services.